A new month, new opportunities! But in our country the start of a new month is usually accompanied by some new rules. Anyone who lives, purchases or renovates can also feel it again in his or her portfolio from 1 March. We will guide you through the two most important changes. 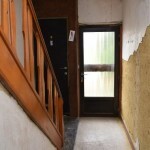 Therefore, residents from other Flemish cities and municipalities can submit an application from 1 March for a premium of 7,500 euro for the demolition of a building in order to set up a new home. According to Flemish Minister of Finance Lydia Peeters (Open Vld), this amount should bridge the difference between 6% and 21% VAT. The premium is only valid for individuals who filed their environmental permit between 1 October 2018 and 31 October 2019. and it is paid within three months after the demolition works have been determined. The government has allocated 15 million euros, which corresponds to 2,000 projects. That does not necessarily have to be bad news, because the total annual bill for electricity would still be lower for an average family. 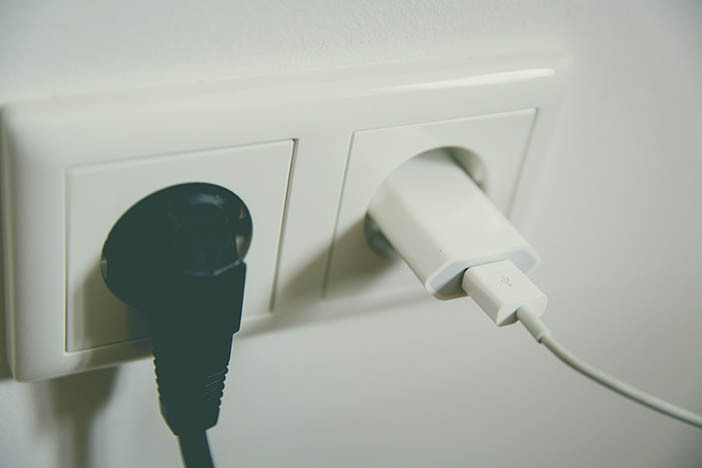 Because the distribution grid tariffs are almost 50 euros lower than last year and there is a small decrease in the federal contribution, the Vreg speaks of 496 euros in 2019, compared to 541 euros last year. A new month, that also means new changes. Even if it is only a short month, February will also affect the thickness of your wallet. And fortunately only in a positive sense. An overview. 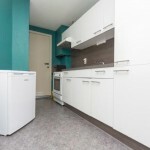 A discussion with the tenant or landlord? A neighborly quarrel that has no end to it? Or problems with the contractor or seller of your house? You can bring such a dispute to court. Anyone who institutes a court case immediately pays roll-right to the court. That is an amount that you pay to the clerk to start a procedure. If you win the case, you can ask the court to have the other party refund the amount, but if the loser is unable to pay, chances are you have lost the money. You will no longer run that risk from 1 February. If you then commence a lawsuit, you no longer have to advance the right to roll . Only at the end of the trial does the judge decide who has to pay, and that will be the loser. If the loser can not pay the sum, then it goes to the government. Still new: the amount . In the past you paid 40 or 80 euros, depending on the bet, but from now on the right to roll is 50 euros. If your case comes before the court of first instance, you pay 165 euros. 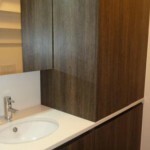 At the start of this year the improvement premium and renovation premium were integrated into one new renovation premium. And you can apply for this from 1 February. your family had an income of maximum 31,340 euros. and work on the technical installations of electricity, plumbing and central heating. These two are thus bundled in a new renovation premium . You can receive these for four renovations: the roof, the exterior joinery, the building envelope and the technical installations. You can receive subsidies for 20 percent of the invoice, with a maximum of 2.5000 euros per category. This means that you can collect a premium of up to 10,000 euros in total. A new year brings with it many changes, and that is no different in 2019. In the real estate world, a few new laws and regulations will apply, of which these are the most important. 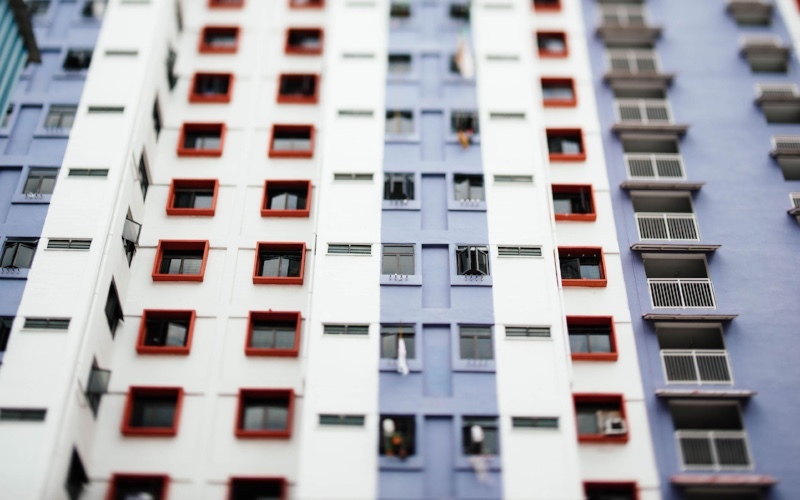 The rent guarantee : new tenants must not pay two but three months rent as a guarantee. After termination of the contract, the lessor gets one year to repay the deposit. Does not that happen? At the moment you have to start a legal procedure, but thanks to the new law it will be easier to get your money back as a tenant. The cancellation : do you have a 3-6-9 lease? In 2019 the legal notice period is three months, and you have to pay the landlord a compensation of one, two or three months rent. The non-registered lease : if you do not have an official lease, you can terminate the contract at any time without compensation or notice. But from now on the tenant must still pay the rent for the month in which he did the cancellation. The official reason for termination : if a landlord ends the agreement earlier than planned, he or she must give an official reason for this. If you indicate as a landlord that you want to live in the rented accommodation yourself, then you are also obliged to do so. The rent : the landlord may adjust the rent, provided that the rental value has increased by twenty percent. 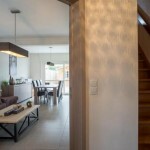 For example, after renovation works or energy-saving measures. 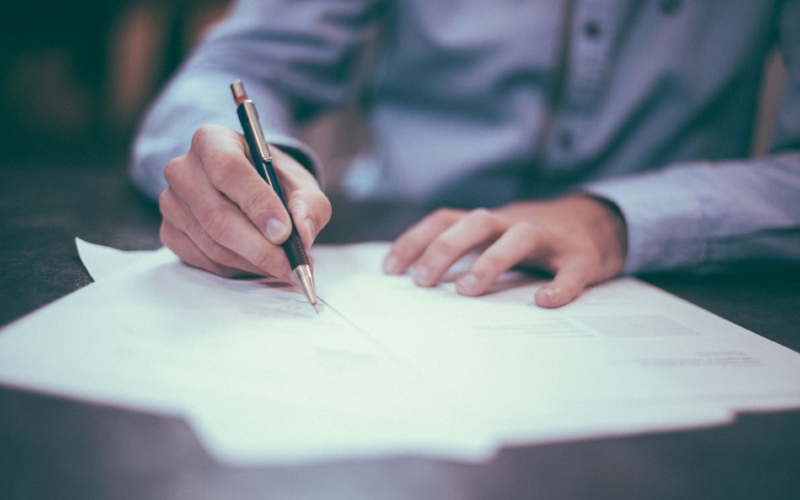 Attention: the new lease decree only applies to contracts that are concluded from 1 January 2019. All other contracts remain under the current legislation. Those who have building plans in the new year must take into account a price increase of about 4.5 percent . For an average house of 345,000 euros, you have to count on 15,600 euros extra. This is because the suppliers have announced that almost all building materials will become a lot more expensive. For concrete, cement, asphalt, roofing and paint, you are now going to pay 8 to 15 percent more than before. Cause? Raw materials that are becoming scarcer, as a result of which the delivery period is getting longer and longer. Smarter Majorities : for certain decisions, such as renovation works or roof insulation, you need fewer supporters than before. The cost price of the syndic : from now on the administrator will make a list of the extra fees that will be charged. Is something not on the list? Then he or she may not ask for compensation for this. 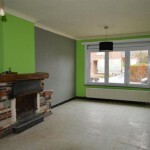 Renovation plans? 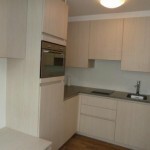 Then you might count on the new renovation premium in which the former improvement premium and renovation premium are bundled . 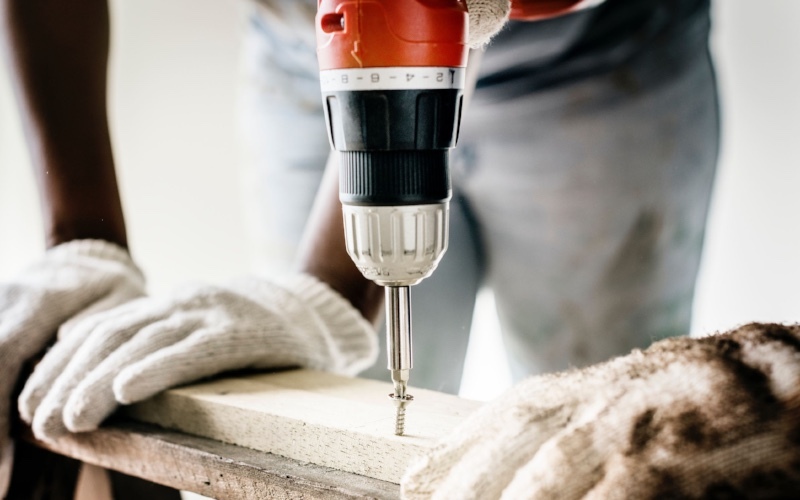 You can get a premium for four renovations: for your roof, outside joinery, building envelope and technical installations such as heating, sanitation and electricity. You can get subsidies for 20 percent of your bill, and up to 2,500 euros per category. 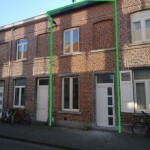 The EPC, which shows how energy-efficient a home is, is given a new look. From 2019 a new EPC + will be launched with an energy label . It will look different visually and also contain new information. The main difference: the energy label, which can go from A + (very good) to F (very bad). In addition, recommendations will be made to make the house more energy-efficient, with a cost indication. Tip: if you still have an EPC from before 2019, that will of course continue to apply. The sales prices of houses and apartments are increasing year by year. The average purchase price in Flanders has almost tripled to 213,500 euros in fifteen years, according to figures from the FPS Economy . 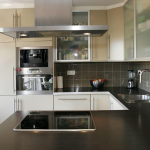 There are still a lot of renovation work to really make your dream home out of it. A whole sum of money, but can you also do it with less? 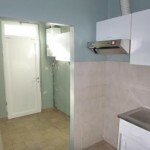 We searched with a budget of 150,000 euros on Zimmo . We start at the sea, in Ostend . 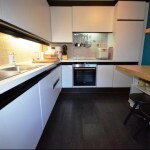 At a few kilometers from the beach you will find for 135,000 euros a spacious apartment with three bedrooms and a living area of ​​83m2, to all wishes. Do not you necessarily have to live on the coast but do you also need three bedrooms? 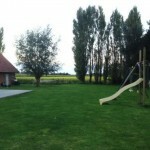 Further south in the most Western province there is a completely renovated house in Kortrijk . 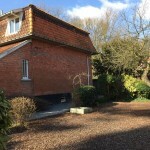 With the price tag of 149,000 euros you pay a bit more than in Ostend, but the area is twice as big and the spacious south-facing garden makes up for it. 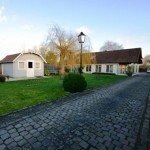 In the quiet Schellebelle you are served for 150,000 euros with a half-open building . 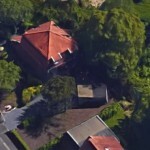 The area of ​​262 m2, an attic and a beautiful garden complete the house. Does Schellebelle seem remote? Within half an hour you are in Ghent, Sint-Niklaas, Dendermonde and Aalst! Does not matter if you're isolated or not? Then why do not you just look at the language border? 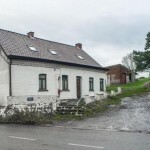 Ten minutes from Ronse, Brakel and Geraardsbergen you will find the rural Vloesberg where you have for 110,000 euros a house with a ground surface of 1.437m2 ! 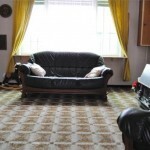 The house itself is in need of urgent renovation. The center of Antwerp can be quite pricey, so why not search on the outskirts of town? By public transport you can be seen from Hemiksem in less than half an hour in the center of 't Stad. 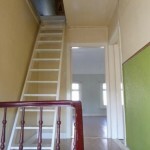 For 125,000 euros you will find a ready-to-move house with two bedrooms . 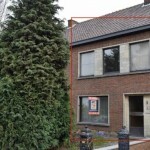 A little further from Antwerp, you can find Essen where you can find 149,000 euros a house with as many bedrooms . 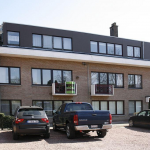 With a ground area of ​​1.272m2, however, you have a lot more space than in Hemiksem. 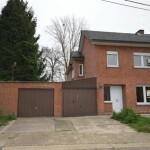 The disadvantage of the house in Essen is that it has to be regularized first. The most Eastern province of Flanders also has something beautiful to offer. 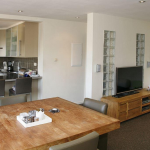 With view on the canal and a stone's throw from the Netherlands you can go to Lanaken for 150,000 euros in a fully ready apartment with three bedrooms that was renovated in 2007. 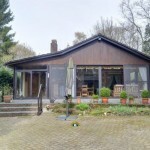 More to the south in the province you find in Sint-Truiden for the same amount a spacious house with four bedrooms and two garages which is no less than five times the surface of the house Lanaken. 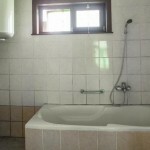 However, the house needs to be renovated, but offers good prospects. On the border with Limburg, but already in Flemish Brabant, Landen is located. 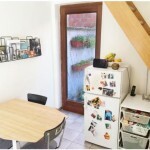 For 100,000 euros you can go to a terraced house with three bedrooms . 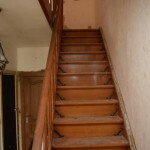 However, it needs to be completely renovated, but with 269m2 it has a lot of potential to make something beautiful. Closer to Brussels, buying a house would be almost unaffordable, and so are his apartments. 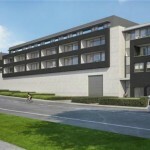 Nevertheless, on the Brussels edge, in Wemmel you will find a new apartment with only one bedroom in a new residence . 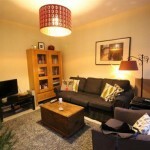 Just a stone's throw away from all access roads and public transport you will be in the capital in no time. 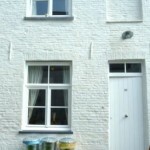 Finding a home in Flanders for less than 150,000 euros is no sinecure. That is also the case with renting in Flanders . Yet you can hit a nice house with a lot of goodwill. In most cases you still have some work to do, but sometimes you find that one rough diamond. Disclaimer : The 10 dwellings described here are only a fraction of what is sold in Flanders and by extension in Belgium for 150,000 euros. The extensive list can be found here . 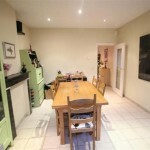 Social media are omnipresent and they also influence what we do during house hunting. As friends they invest in a big house, it seems as if we want to follow them. At least, that showed a study by the American National Bureau of Economic Research. 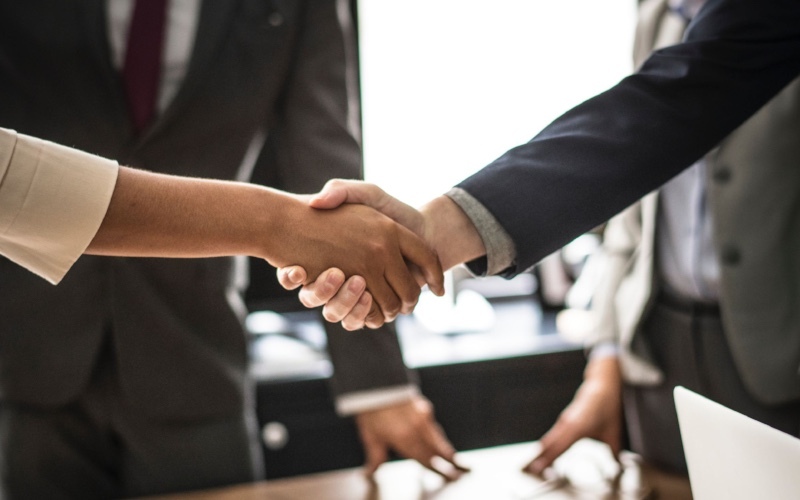 It is so that when social media friends share with enthusiasm that they bought a house, you are more inclined to also skim the real estate market and find your own house. That was the conclusion after a survey of 1250 respondents in Los Angeles. In addition, the data of 434,000 tenants and over 1 million owners were analyzed. "When you see that people buy a house that rises in value and ultimately make money from selling it, that also seems like a better investment for you", says Johannes Stroebel, professor of economics at the University of New York, who collaborated on the study. "It shows that a positive experience within your social network is an important factor and ultimately determines your own choice." read on social media that some properties have increased by 5% in value over the past two years, 3.1% is more likely to buy a new home themselves within two years . Moreover; 1.7% would consider buying a larger house, 3.1% would want to significantly increase the budget and 7% would be willing to take out a new loan for it. On the other hand, those who read negative experiences on social media from acquaintances and hear that they are losing, are more likely to sell the house and rent it. About 1% would eventually even sell their property cheaper than normal. 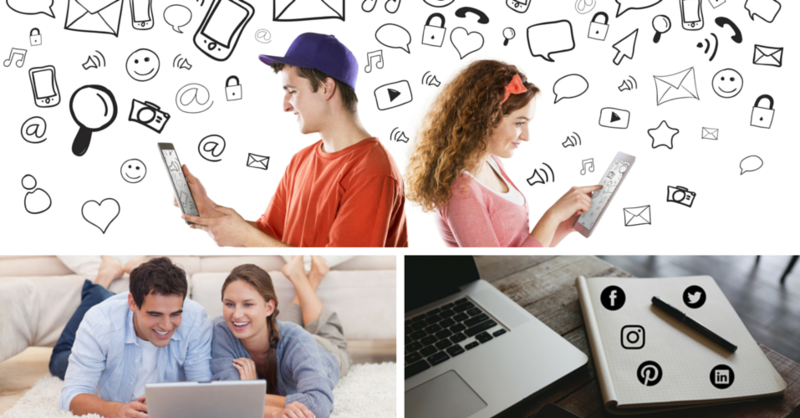 "Social media does indeed influence whether or not you end up in the housing market. This can be both positive and negative ", is the conclusion of Jason Dorsey, Chief Strategy of a Texan research firm. "Buying a house seems more feasible when acquaintances have done it successfully, and vice versa is no different. So you are more reserved when you post friends earlier about the stress they have experienced. " Whether a house is popular or not, you can not see with the naked eye. How do you actually measure the popularity of real estate? 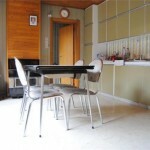 We have already listed the ten most visited houses on Zimmo ! 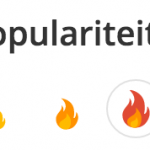 The only rental property in the list is immediately the most popular! We stay in the city of the nose, because the number two we find in Ghent. So you find in the middle of the city an oasis of peace in a beautiful house from 1886! 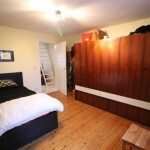 this terraced house with one bedroom popular because of the beautiful location it has. Near the center of Ghent and yet an oasis of peace. Price tag: 197,000 euros. No two without three in East Flanders! Just below Gent and on third place you will find Zwijnaarde. For example, for 270,000 you have a farm with a spacious ground of 6 ares. 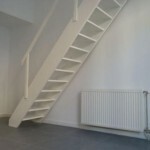 Always wanted to have an open building in a quiet environment that is still perfectly accessible? You are not the only one and you are welcome in Zwijnaarde! We leave East Flanders for the first time. 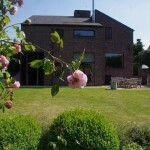 On the fourth spot we find in Lommel a beautiful country house back! We all dream away together. 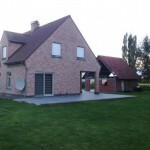 With three bedrooms you have as much as in Zwijnaarde and the ground is the same size. With the presence of many recreational opportunities in the neighborhood, you have the ideal conditions for settling in Limburg as a family. And that for 299,000 euros. The most popular building in Flemish Brabant is located in Herent, near Leuven. With 375,000 euro the farm is the most expensive from the series and also for our number five we give our eyes a good living. Because of the quiet location and the gigantic meadows around, paradise seems nearby! With a potential over surface of 44 acres you have a lot of possibilities! If you want to find your place in the center of Leuven, you are not alone. Leuven is a very popular city for young and old. In fact, everything is within easy reach at a stone's throw from the bustling center. The cost of the two-bedroom house is 270,000 euros. Being fast is the message with this number six ! Or you seek salvation in Heverlee. If you want to live close to a city, but still want to stay in the green, you can find a solution with number seven . There a villa with four bedrooms, an oasis of light and space and a gigantic garden can be yours! In short, a gem on the outskirts of town! Leuven also grabs three in a row! 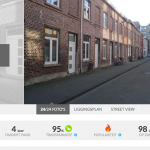 Apparently we are not only looking for large cities such as Ghent and Leuven, because in the eighth place in the tiny Sleidinge is one of the most popular houses in the market. Is it a good place to live, or is it the villa with five bedrooms and a spacious garden where we dream away? At the last moment still to West Flanders. 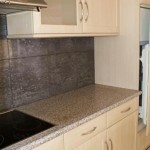 We are also looking for ready-to-move homes, because we do not want much work anymore. We find an exponent of this on the ninth place in the quiet Rumbeke. 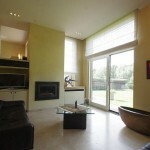 You can view the home with a price tag of 245,000 euros, even virtually ! We finish the top 10 in beautiful Leuven, which dominates the list with four buildings. 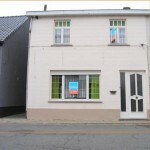 A completely renovated town house in a quiet street. Many of us dream of that. For 220,000 euros you may soon become a Leuvenaar. You can view the popularity of buildings on Zimmo? You can see that from the flame under the building. 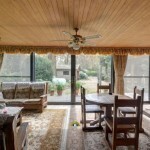 The popularity is calculated on the basis of the number of times a house was viewed and how long it has already been published on Zimmo compared to similar properties in the neighborhood. 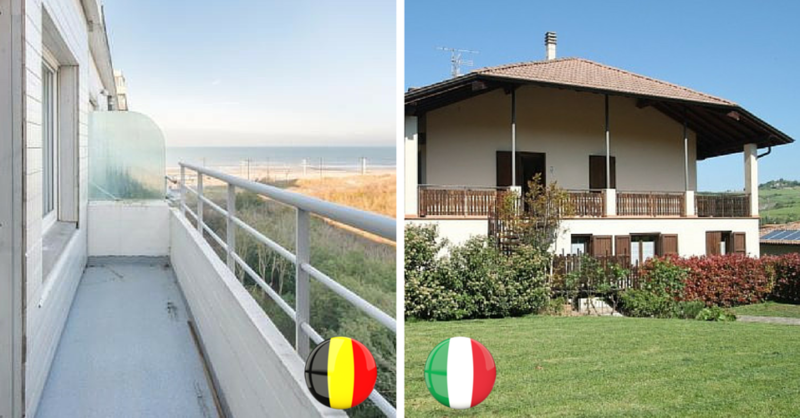 Belgium – Italy, Where Do You Score The Best Real Estate? At the European Championships, the Red Devils start against Italy. The land of spaghetti, pizza and Pisa has more to offer than food and culture. It can also be wonderful to live, but where is it better? Because say yourself, living in a country where the sun shines much more often than in Belgium must be delicious. Do not these prices swing out or does it turn out to be worthwhile? 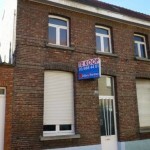 According to the figures of the notary barometer, the average cost price for a house in Belgium is 230,000 euros. Of course there are clear regional differences. For example, in the province of Antwerp you pay on average 264,000 euros while in Hainaut you can live for 'only' 140,000 euros. That is no different in Italy. For example, the Northern Valle D'Aosta is more expensive than Calabria in the South. 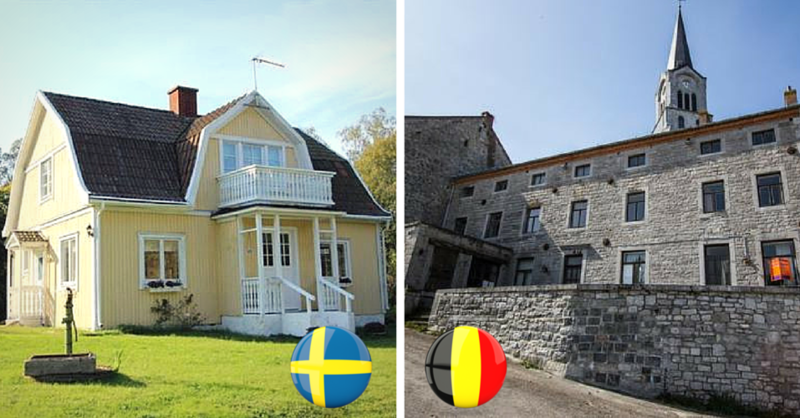 What can you find for 264,000 euros in both countries? Let's look at Antwerp and Valle D'Aosta. 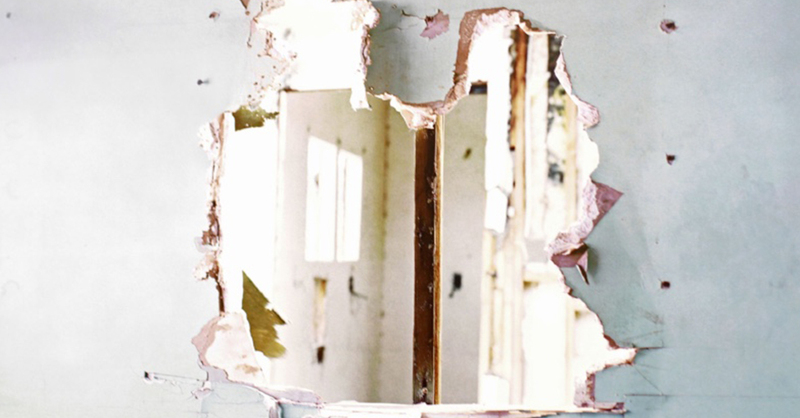 Want to renovate? Then put your teeth in a villa in Rijmenam. Four bedrooms and 15 are of land can be yours. In Northern Italy you have a beautiful ready-to-move home for that amount. No, you do not have such a large piece of land, but you live on top of the mountain! Similarities between North and South, but a difference in the comparison between the interior and the sea. In Belgium, prices fall when you head towards the coast. In Italy you just pay more. 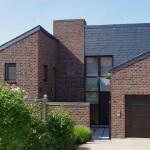 With an average 224,000 euro the price for a house on the Belgian coast is included. 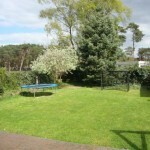 In Middelkerke for that amount you will find a renovated roof apartment with two bedrooms, near the beach. 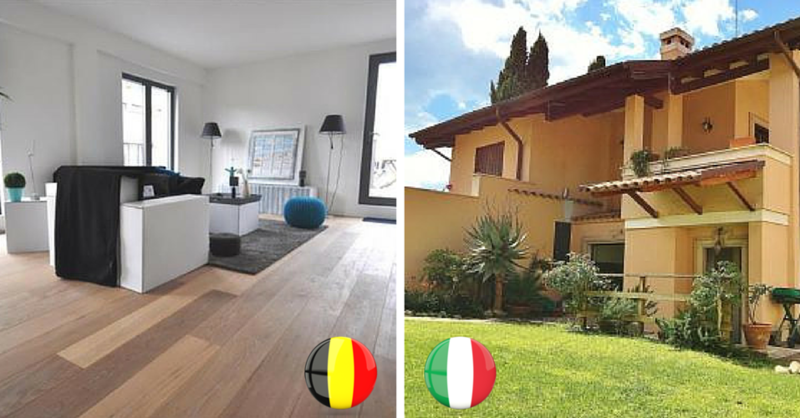 For that amount you have in the Italian interior a beautiful house with five bedrooms. Such houses are inconceivable on the southern European beaches, because then the prices go up to three times. In a capital you always pay more. That applies to both Rome and Brussels. In our capital you count on average 442,000 euros for a home. 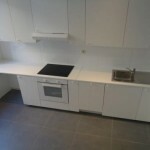 For this you have a spacious apartment with three bedrooms in the center of the capital. Rome is also one of the most expensive cities in the country. Many homes are priceless, but here and there you will find a hidden gem. Admittedly, 375,000 euros is not a gift from heaven, but you're already better off than in our capital. 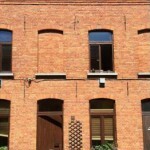 Italy has been in a slump in recent years and saw property prices fall year after year. That's why you have a lot of nice pearls in Italy that you can tap on the head to say the least. The general prices are therefore a lot lower in the country of the pasta and they already win this real estate match. Thumbs of our Red Devils against the pitch! 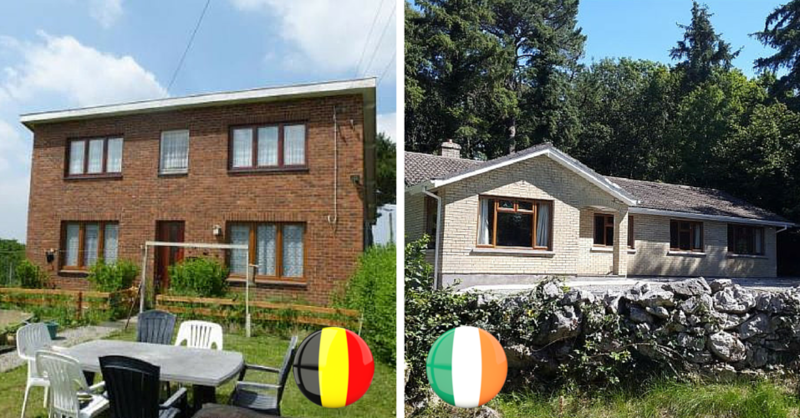 Belgium – Ireland, Do You Score More Real Estate Over The Canal? It is time to take a step back after the slip against Italy, because besides football we also went down badly on real estate . In other words, against Ireland, the country of the Guinness and the Baileys. But of course, a country is not just about drinking. Ireland still has trump cards, because with U2, The Script and Damien Rice, a nice part of the music world is also Irish. But the most important question is also here: is it ideal to live? 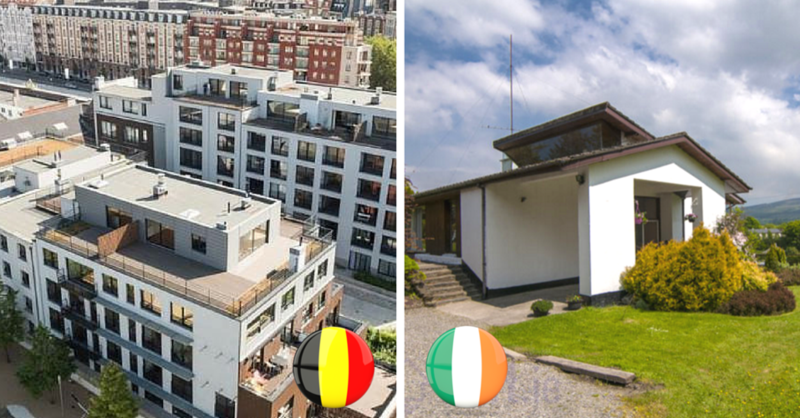 The average cost price for a house in Belgium is 230,000 euros This is reported by the figures from the notary barometer, and just as in every country, there are a lot of differences at regional level. For example, in the province of Antwerp you pay an average of 264,000 euros, while in Hainaut you can live for 'only' 140,000 euros. When we take a look at the cheapest region, we see some hidden gems popping up. 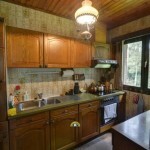 For 150,000 euros you have in the village Bouffioulx a nice, detached house with a spacious garden . For that amount you get a lot more in the center of Ireland and the finish also looks a bit more modern. Admittedly, it's nice to live in our Belgian North Sea, but the call from the Atlantic Ocean seems to us to be a little more attractive. The prices are a lot lower in Ireland because the country is almost completely surrounded by water. Because Belgium has a much smaller coastal strip, the prices in our country are therefore higher. 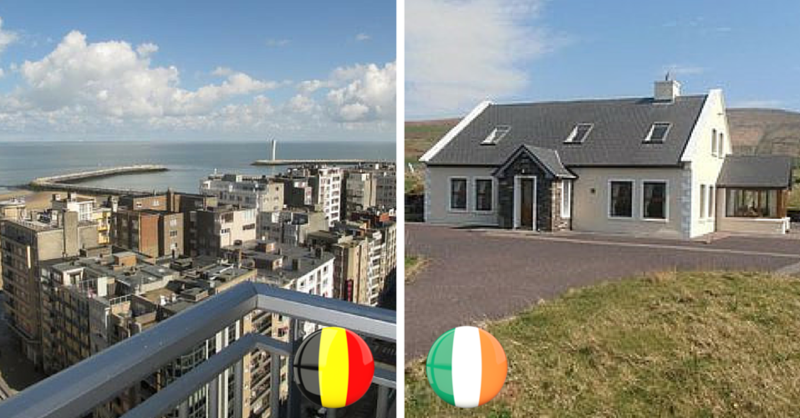 With an average 224,000 euro the price for a house on the Belgian coast is actually down to the average, but it is a fact: in Ireland you are much cheaper. 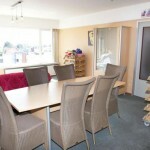 So in Oostende you have a sunny apartment with 2 bedrooms, a stone's throw from the sea. Price tag: 190,000 euros In Ireland you soon have a villa for this, also within walking distance of the beach, and on the Atlantic Ocean. In a capital you always pay more. This is no different in Dublin and Brussels either. In our busy capital you count on average 439,000 euros for a home. 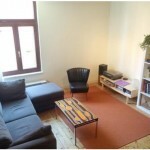 For that you have a hypermodern apartment with two bedrooms in the center of the city. Despite Dublin being the capital of Ireland, prices are generally in line with our country. Whoever has a pocket money on surplus can visit this pearl with 6 bedrooms and a panoramic view in the north of the city. Ireland has been hit hard in financial terms in 2007. Houses were then offered at dumping prices. The market is slowly recovering and real estate prices have risen sharply in recent years, but the next opponent of the Red Devils is in favor of that. 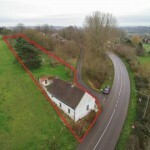 Anyone who wants to go looking for a house in a foreign country, can therefore always go over the English Channel, because there is a nice diamond to pick up here and there. Hopefully our national team on the field can prove the opposite. 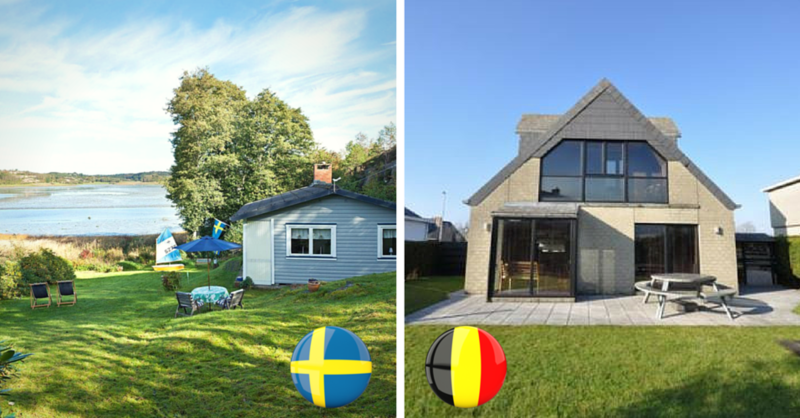 #ZWEBEL: Is Swedish Real Estate Better Than Belgian? Hurray! 3-0 against Ireland! It was time after the debacle against Italy. Now that the football is in full swing again with the Red Devils, it is also time to repackage on the real estate level. In search of the full loot against Sweden: the country of the IKEA and the Swedish balls. No, Sweden is not only the well-known furniture chain, the crispbread and the köttbullar (yes, because that is what these balls really call!). The Scandinavian country introduces the crown of electronic dance music, with Pippi Langkous a cultural celebrity in the history books and on the football field Zlatan Ibrahimovic is an absolute superstar in the ranks. 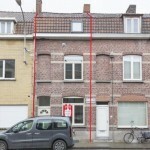 The average cost for a house in Belgium is 230,000 euros according to the figures of the notary barometer . Unlike many countries, it is becoming cheaper in our country when you head towards our North Sea. 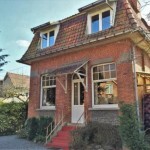 If you have a more solid money bag, you can move to 350,000 euros in a sunny villa in Ostend . Admittedly, on the Swedish North Sea, in Fjällbacka to be precise, you have much less living space, but the ground around it and the view are breathtaking. Just as in every country, there are a lot of differences at regional level. For example, in the province of Antwerp you pay an average of € 264,000, while in Hainaut you can live for 'only' 140,000 euros. That is no different in Sweden. There you pay a punch for a house that you pay three times as much in any city. 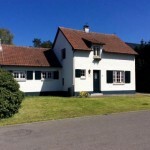 For example, in the Swedish town of Häradsbäck you will find a beautiful country house with a piece of land of 1 hectare for only 126,000 euros. Living in an oasis of peace, but that is also possible in Belgium. 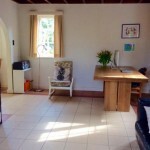 In the village of Oret you can get a very rustic home under the church tower with no fewer than five bedrooms . 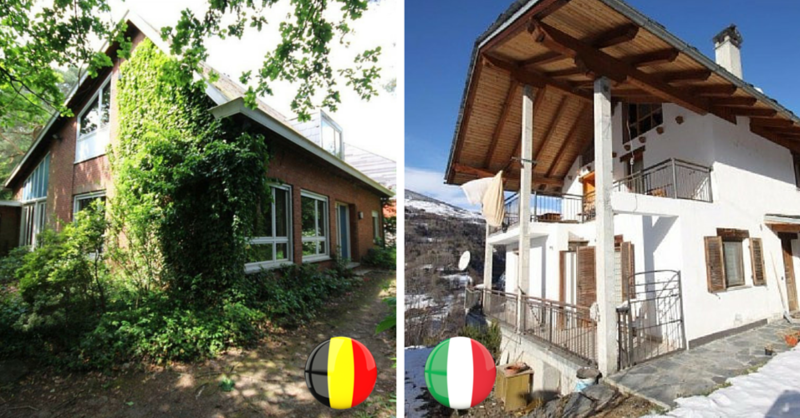 Minus: you still have renovation costs, but with a solid base for only 99,000 euros you can certainly call this beautiful house a bargain! 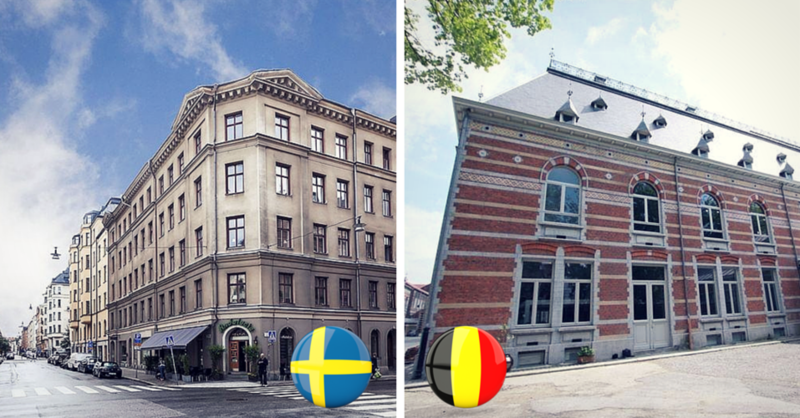 Just like our beloved Brussels, Stockholm is also the most expensive city in the country. In our capital you count on average 442,000 euros for a home. 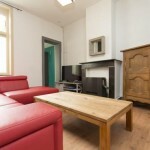 If we look just below the average, we find a beautiful, spacious apartment in the historic center of the city Price tag: 'only' 330,000 euros. 'Only', because in expensive Stockholm you pay a lot more for a smaller apartment. Many people have taken the step last year to buy a house, apartment or building plot. This is shown by figures from the Notary Barometer. The past year turned out to be a record year for the real estate market. And yet on average we pay more for the transactions than before. 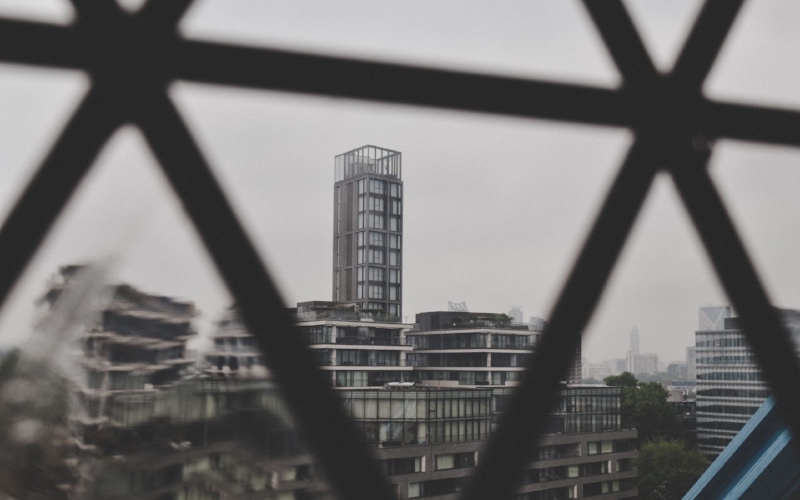 In Belgium, 2016 saw a total increase of 8.2% in the number of real estate transactions. This increase occurs mainly in Flanders which was the primus of the class with 13.6%. Brussels also followed closely. In the capital the number of real estate transactions increased by 12.5%. Striking is the decline in the southern part of the country. Wallonia recorded a decrease of no less than 2.8%. Why do we buy more houses, apartments or land? "Well, a first reason was the low interest rates. 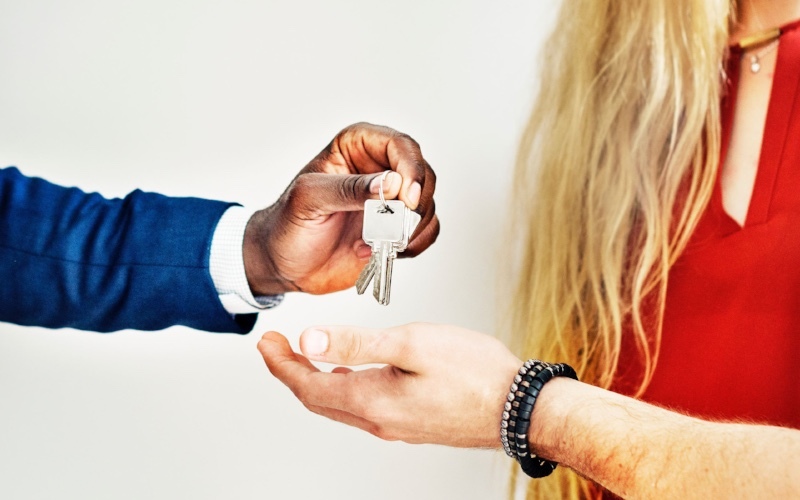 They made it easier for young people to take the step to buy a home, "says Bart van Opstal, spokesperson for [Notaris.be] . "In addition, real estate was popular as an investment, also in newer forms such as garage boxes, hotel rooms, but also student buildings. Older people also sold their homes and exchanged them for an apartment or a form of assisted living. Just think of service flats, retirement flats and kangaroo homes. " 0.9%. The average sales price of a house rose so much in 2016. 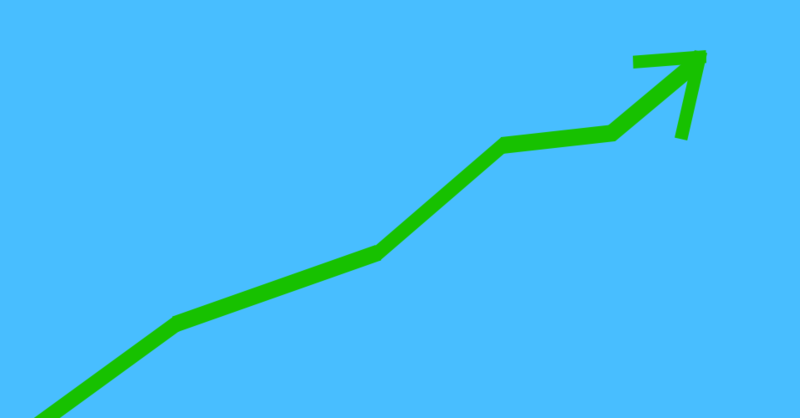 With an inflation rate of 1.7%, this increase in the number of houses can best be relativised. In 2016 the average price clocked to 236,831 euros. Brussels was the strongest climber at 4.6%. 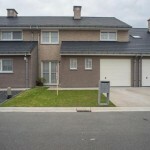 There they paid 455,824 euros for a house last year. In Flanders (+ 0.8% to 261,641 euros) and Wallonia (+ 0.4% to 177,423 euros), a much lighter increase could be observed. In 2016 the average price of an apartment rose by 3.6% to 212,465 euros. The biggest riser was Wallonia with 5.2%. 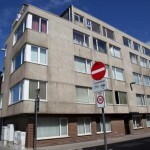 They paid an average of 164,104 euros for an apartment on the language border. In Flanders you paid more: 212,465 euros, which meant an increase of 4%. You paid the most in Brussels. 231,843 euro to be precise, good for a 3% increase. In 2016, a one-room apartment in Belgium cost an average of 156,671 euros, an increase of + 3.2% compared to 2015. 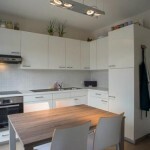 A two-room apartment cost an average of 207,471 euros, an increase of + 1.2%. A three-room apartment was on average 281,465 euros, + 2.6% compared to 2015. Although the average price per plot of land decreased from 150,000 euros to 134,000 euros, the average price per m² continued to rise: by + 3.8% in Flanders (238 euros / m²) and even + 5% in Wallonia ( 88 euros per m²). How come? "In 2016, we clearly started to build smaller," says Van Opstal.